London, UK. Feb. 5, 2018 — Amiko Digital Health Limited (Amiko), a company that develops advanced medication sensor technologies and AI-powered digital health tools, announced today that the company has received CE Mark for use of the Respiro platform with Teva’s Spiromax® inhaler, Chiesi’s Nexthaler® inhaler and GlaxoSmithKline’s Ellipta® inhaler. 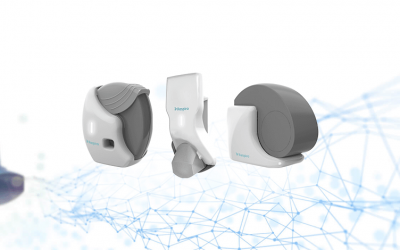 “Receiving the CE Mark is a significant milestone toward the global commercialization of our connected inhaler technology. By successfully completing this process, Amiko has demonstrated that Respiro complies with applicable EU’s health and safety legislative requirements and it can now offer the technology for clinical and commercial use to healthcare providers and research institutions in the EU” commented Federica Iovine, Director of Regulatory Affairs at Amiko. With its ISO 13485:2016 Certification and CE Mark, Amiko is expected to begin the commercialization of the Respiro Platform into Europe this year. Founded in 2014, Amiko has headquarters in central London and ISO 13485:2016 certified laboratories in Milan. Today, Amiko serves commercial, institutional, and individual customers in Italy, Germany, France, Spain, UK and the Netherlands, and is growing to become a global provider of advanced therapeutics data and digital disease management services, empowering patients, healthcare professionals, and payers to realize a shared vision of a digital health enabled future.